The largest senior center in Seattle is in the heart of The Junction. That’s one of the facts served up with breakfast today as Senior Center of West Seattle supporters gathered for its annual early-morning benefit. The hundreds who filled the Masonic Center for the occasion also learned that SCWS served almost 4,500 people last year alone. Those who benefit from it aren’t just seniors. It’s the only community center-type facility in The Junction, and that means it’s the scene of countless meetings, gatherings, and events – from Rainbow Bingo to mayoral town halls. MOVING FROM MORGAN JUNCTION: We mentioned back in January that TouchTech Systems had moved out of 4517 California SW. As of May 1st, that’ll be the new home of the Farmers’ Insurance office that’s currently at 7007 California SW, according to a sign posted on the window at that building. As we’ve reported previously, redevelopment is on the way for that Morgan Junction site. 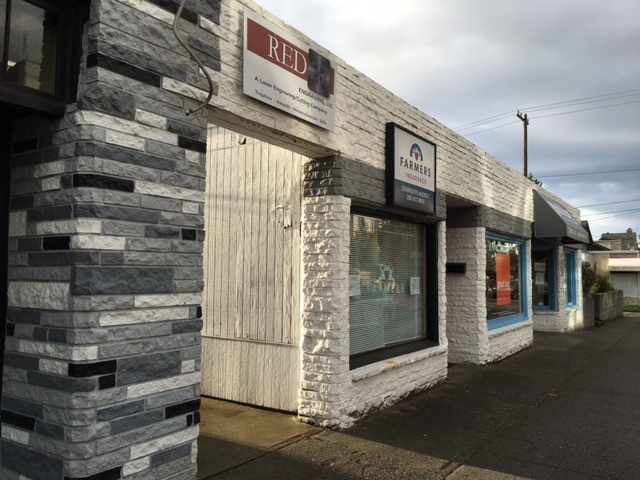 ROW HOUSE: This national fitness chain is expanding into Seattle and is on its way to one of The Junction’s newest commercial spaces, 4203 SW Oregon, ground floor at the AJ Apartments. The chain’s website says it offers a “full-body, low-impact, high-energy rowing experience.” (Added 6:22 pm) They’re hoping to be open in August. STARCYCLE: Just a block away, this too is a branch of a multi-state fitness company, specializing in indoor cycling. StarCycle is on the way to a commercial space at the Adell Apartments, almost complete at 4532 42nd SW.
We’ve learned more about a police and fire response that drew some attention along Avalon Way east of 35th early Monday morning. A 23-year-old woman is recovering from injuries and a 42-year-old man is in jail after what’s under investigation as a case of assault. The police-report narrative says multiple 911 callers reported a woman screaming and two other voices. The victim said she was sitting outside her apartment building when she saw the man and his girlfriend, who, she told officers, she often sees, as they live nearby. She asked him to return a lighter she had loaned him a year or so earlier; an argument ensued, and, she said, he punched her in the face five times, knocking her down. The man’s girlfriend tried to stop him, the victim said; finally they went back into their building. The report says police found the suspect’s apartment by following a trail of blood. He claimed what he did was in self-defense, saying he had been hit, but police found no injuries to confirm that. He is in jail, held in lieu of $5,000 bail. after 13 years of digging up the best places to sit, stay, and play with your pooch in the Pacific Northwest, we’ve compiled it all into one place, a 200-page, full-color guidebook called the Doggone Travel+Adventure Guide. As you can imagine, printing a full-color book is not cheap, but worth it with over 350 photos shot by Northwest professional photographers! Anyway, we recently launched a Kickstarter campaign to cover half of the printing and with just nine days to go, we are 50% to our goal. One of the pledge levels includes a photo of your dog in the book. Here’s a sneak peek at the book; if you want to help with the crowdfunding, go here. 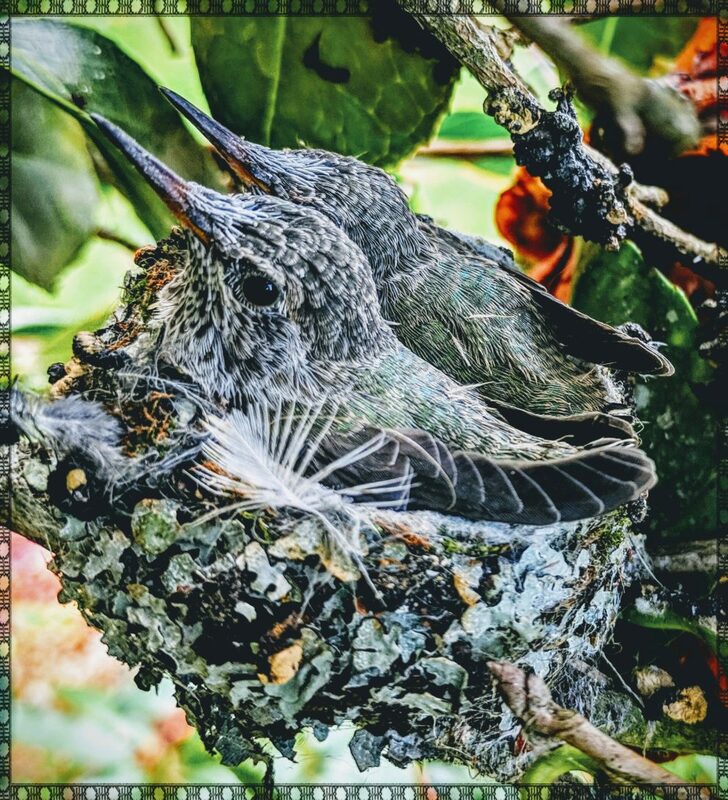 5 for your West Seattle Tuesday – plus, baby birds! SEE WHAT ELSE IS ON THE CALENDAR! Go here. 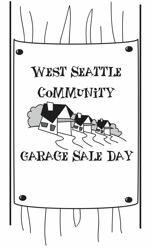 Drum roll … 70 sales and counting on the last day of the first week of registration for West Seattle Community Garage Sale Day 2019 (presented/coordinated by WSB). If you’re still contemplating whether to have a sale or not, you have time – two more weeks of registration. The sale day is Saturday, May 11th, 9 am-3 pm, with some starting earlier and/or ending later. As we do each year, we’ll have the map ready to go in clickable and printable versions a week in advance. Here’s where to register. P.S. It’s also time for us to start reminding you that Stamp Out Hunger – letter carriers’ door-to-door, mailbox-to-mailbox food drive – is the same day as WSCGSD as usual (both are always on the second Saturday in May), so whether you will be shopping or selling, if you can donate, please plan to set out your bag of nonperishable food by your mailbox/door/etc. that morning. 7:02 AM: Good morning. No traffic or transit alerts so far in our area. 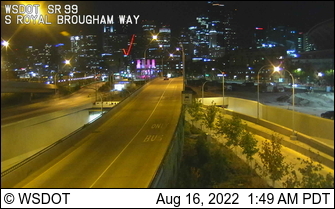 8:37 AM: If you are a late-night/early-morning Highway 99 driver/rider, take note of these closures as the week continues – including an overnight closure of the SB Highway 99 tunnel overnight late Friday into early Saturday.